Happy Friday Friends!!!! 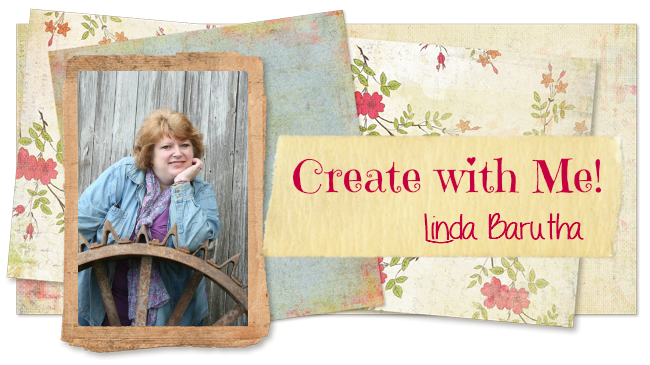 It's me Scrappin Madge and today is my day to share with you something fun that I created with Linnie Blooms DT!! I have to say I love ALL of the Linnie Blooms product!! There are so many fun things to work with! 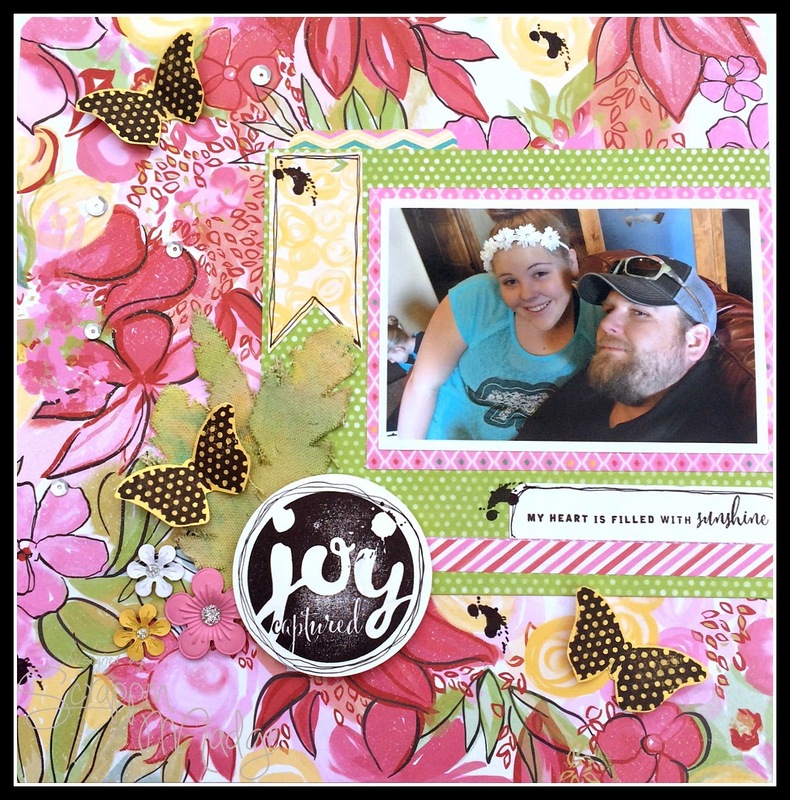 If you are making mixed media Linnie Blooms has it, if you want to make a scrapbook layout or a card, Linnie Blooms has something for you!!! Be sure to check them out HERE!!! For this layout I used the Canvas Feathers!! They were super fun to work with. 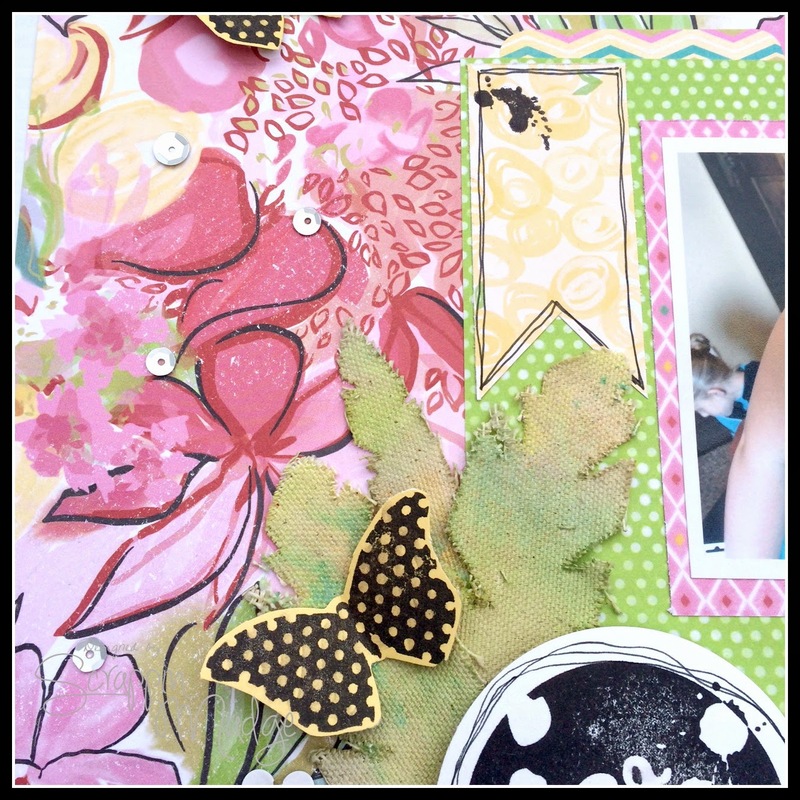 Check out my blog for the "How to" and other products that were used to create this fun layout!! Get your Canvas Feathers and Heidi Swapp Gold Color Shine click (HERE).